Chess has been challenging the minds of players for nearly a millennium now. The rules may have changed and evolved from their humble beginnings, but it continues to be one of the most easy-to-learn but difficult-to-master games ever devised. It takes a cunning mind to develop a winning strategy in what has often been called the King's Game. With Chess Free, chess has now been brought to its currently most logical conclusion: as an app that can now be played on your tablet or smartphone. Improve your chess skills against a variety of computer opponents, learn new strategies to beat masters, or challenge a buddy to a friendly match at any point in time. 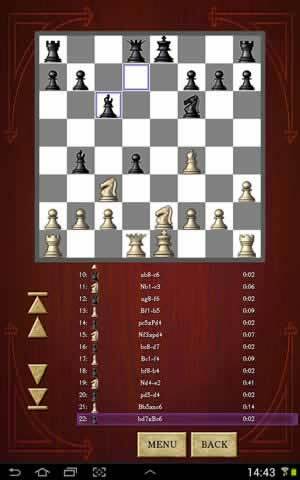 Victory will most assuredly be yours in Chess Free. Chess is a timeless game. All the classic rules that we know and love have been left intact. Through a series of board movements that are unique to every type of piece, two players must take turns outwitting and outmaneuvering each other into capturing the opposing king. Includes all of the classic pieces, with eight pawns, two rooks, two bishops, two knights, one queen, and one king for both players. 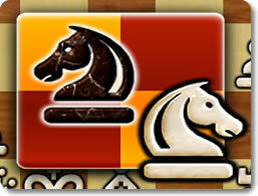 Decorate your game with eight different chess boards and five chess piece sets. Play against the computer, or challenge another player to a hotseat game. Play on 12 levels of difficulty. You don't need to be Bobber Fischer to enjoy Chess Free. In fact, you don't need to have ever played a game of chess to enjoy Chess Free. This app is as much of a chess learning tool as it is a mobile edition of the timeless board game. It includes a host of options that will help you hone your skills and strategies. Save a game in-progress and get back to it anytime. Includes a tutorial to help beginners learn all of the ins and outs of chess. Activate CPU Thinking mode to show what moves the computer is considering before it commits. Track your accumulated statistics for every game played. Use the Review Game option to view a turn-by-turn analysis of you completed games. See what crucial moves decided your victories, and which ones spiraled into crushing defeat. Chess is always a great game to have on hand. Most people understand the rules, so finding a willing opponent is always easy. Even if it isn't, then the built-in AI is adjustable enough that anyone of any skill level can play. With its myriad of tools that allow you to examine your strategies as well as your opponents,' it's also a fantastic learning tool. 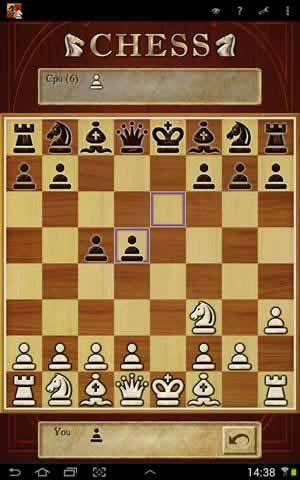 Download Chess Free and bring glory to the king's army!